Since 2014, Earl Stewart Toyota has partnered with Big Dog Ranch Rescue, the largest cage-free dog rescue in the U.S., to help bring awareness to dogs in need of forever homes and to provide unique opportunities for dog adoption. 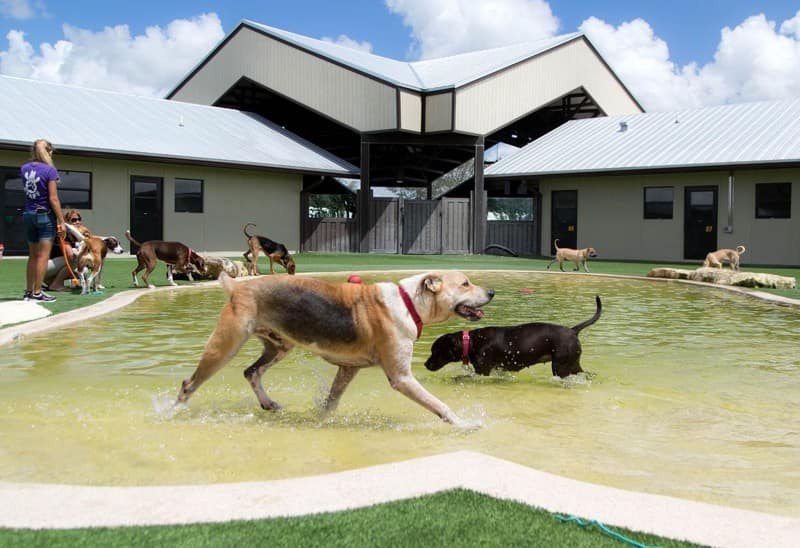 Big Dog Ranch is a 33-acre campus that was designed, built, and resourced to meet the needs of rescue dogs large and small. They provide shelter and a transitional home for dogs of all breeds and all ages, from puppies to seniors. They also take in pregnant dogs. Their goal at Big Dog Ranch Rescue is to save adoptable dogs, transition dogs to loving forever homes, and to provide a positive, interactive adoption experience. Throughout the past 12 years, they’ve had the privilege of saving more than 23,00 dogs from across Florida and southeastern U.S, including Puerto Rico. They currently have the capacity to save up to 5,000 dogs annually. At Earl Stewart Toyota, we strongly believe in the work that Big Dog Ranch Rescue is doing. We’re proud to be one of their top corporate sponsors in the community, and we’ve contributed more than $100,000 annually to their cause. We’ve also donated a van to transport their dogs, and $10,000 to build a doggie bungalow that will be named for Earl and Nancy Stewart. Each week we sponsor a “dog of the week”, on our website and with Facebook videos to help these dogs find their forever homes. So far, we’ve helped get more than 100 dogs adopted! What’s more, if you order a copy of Earl Stewart’s Book, Confessions of a Recovering Car Dealer, the proceeds will be donated to Big Dog Ranch Rescue! 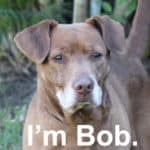 Meet our Sponsored Dog… Bob! Bob is a sweet guy who was rescued from a high-kill shelter out of South Carolina. We’re not quite sure what his story is, but it appears he has lived a life of neglect. Unfortunately, Bob is heartworm positive. He is currently being treated by our wonderful medical team. In the interim, he is dreaming of finding his FINAL forever home, where he can be loved and worshiped. Despite what he’s been through, he’s very loving and dog friendly. He is a quiet boy and walks well on a leash. He will need to be on exercise restriction until his treatments are over (which BDRR will continue even after he’s placed in his permanent home).